Only a quarter of Fiats cars are Diesel models so its not a frequent car we attend, that said we have attended and fixed enough of them to dish out a wee bitty of advice. If you have a suction system just put it down the filler neck of your fiat and let it do it’s work, once the tank reads empty and no more fuel comes out – your done. The tank sits under the back seat, just yank up the bench with a swift tug and you will see the access panel, you disconnect the lines from the in tank pump which would be where the black circle is in the picture, remove the pump (fiddly) and you are now looking into the tank, I have know people to empty this out with a cup!, but it takes ages!, so I suggest a syphon arrangement, or better a pump. 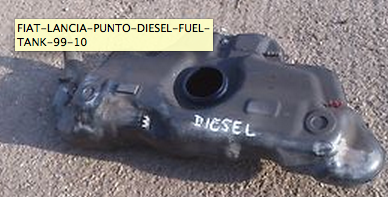 Once the wrong fuel is removed, fill up with diesel (assuming it is) and away you go. For those of you who are familier with a 12v spiking probe you can also spike the power line that feeds the intank pump under the seat, this avoids the need to drain the fuel by hand or pump, you can simply power up the pump with your probe after re routing the fuel supply into a container thereby pumping all the bad fuel out using the cars own fuel pump. Fiats are efficient cars and have very small tanks compared to most so fiat owners tend to get off lightly when misfuelling, if there is such a thing as getting off lightly!